Award Winning Perth-Based Building Designer Best of Houzz 2017- 2018. At KTR Creations, we pride ourselves in creating one-of-a-kind spaces that are unique, stylish and functional tailored to the client's vision. Our focus is on providing a personalised and tailored approach. We will listen to you, guide you through your journey and design according to your budget and brief. 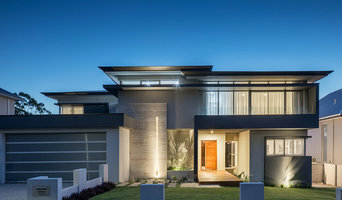 Established in Perth, Western Australia in 2010 and with over 16 years experience, KTR Creations provides innovative, timeless and practical building design solutions within the residential and commercial sectors. We are a professional and passionate team of creatives who specialise in custom home designs and provide you with house plans to suit your brief and budget. Our experience also covers a variety of work including unit development, renovations and extensions, apartments and small commercial projects. We understand that the small things matter so we pay close attention to detail when we create comprehensive design solutions and building plans. Our experienced team can help you every step of the way from the initial concept right through to the end of construction. With a dedicated and committed outlook, KTR Creations utilise a collaborative work approach to provide our clients with a personalised and memorable design journey. Darklight Design is a boutique firm with a focus on custom design for both Residential and Commercial projects. Director Adam Butcher is an award winning designer who has over 15 years experience in the design and construction industry. His expertise crosses multiple sectors in rural and metropolitan areas around Australia. Exposure to complicated design projects in the areas of renovations, private residential, apartments, aged care, commercial fit outs, mining and cinemas has provided a base for all Darklight projects to focus on key elements of budgets, constructability and planning that sit in line with importance of design, not an afterthought. Darklight Design assess each client’s brief individually and believe in paying attention to all pre-construction components to give your project the best possible start when building commences. Justin Everitt Design is a multi-award winning residential building design company, founded under the parent company j3d Pty Ltd, in 2006. Justin Everitt qualified as a British Architect in the 90's , and has pursued his interest specifically in Residential design since. Our philosophy is to provide complete excellence through our enthusiasm and passion for delivering the best design solutions that contribute visually to the communitty as well as enriching the life of our clients. Through simple, flexible, efficient design, we explore space, form and function to create sophisticated homes that are timeless yet specific to each of our client's aspirations. Justin Everitt Design has the demonstrated experience in all facets of design, but specialises in upmarket luxury individual homes, multi-residential developments, project builder style efficient homes alongside all the elements required to complete the project such as Interior Design and Landscape Design. Located in Perth, but work Nationally and Internationally. 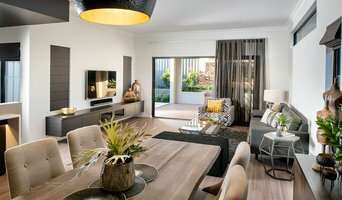 Ben Trager Homes has redefined double storey building in Perth, providing affordable, high quality and spacious homes unlike any other 2 storey builder in Western Australia. Contemporary elegance is no longer out of reach for the budget-conscious; Ben Trager Homes makes magnificence affordable. Award winning designer - Building Designer | Interior Designer WINNER OF "Best of HOUZZ 2015+2016+2017+2018+2019 Design award"
DESIGN2SOLUTION is a Building Designer of Custom Luxury Homes, Quality Alteration / Additions & Affordable, Sustainable Housing for the Property Developer / Investor. Professional Building Design and Drafting Services. We can help you design your dream home, draft plans for your extension, or simply help you obtain your building permit. Let us design your dream home, draft some plans for your extension, or help you get your renovation through council. Send us an email through contact@zengcad.com.au for info or pricing. arc seven.1 building and interior design, is a multi award winning practice established in 2004. as a small professional team, jason saunders and nicole tollman have over 20 years experience and offer a personalised, individual design service. we are committed to design excellence and pride ourselves on innovative solutions that are tailored to the clients’ requirements. each project reflects the individuality of the client, their lifestyle as well as the location of the site. our scope of works includes private residences, unit developments and renovations. our focus is not only on the built form and interior fit out, but the landscape that forms an integral part to creating a harmonious linkage between these three disciplines. appropriate design and orientation, complementing the surrounding environment, as well as the implementation of energy efficiency principles are incorporated into the design strategy. Daniel's career in the residential design industry began in 1996, at an award winning design firm in Perth, Western Australia. Here, he gained valuable experience designing various styles of residences. 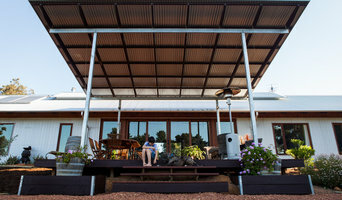 Launching his own business in 2003, Daniel's first project was an award nominated addition in Attadale. Since then, Daniel has undertaken many challenging and unique design briefs, resulting in homes which often exceed owners' expectations and resonate with all who visit. With a reputation for fastidiousness and a lateral and thoughtful approach, Daniel's work displays an individual style and exemplary attention to detail. Be it Classic, Contemporary, or Art Deco, Daniel strives to provide clients with their dream home. 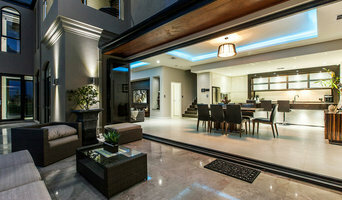 As with all other professional services for home design and renovation, the best way to choose a building designer in Perth, Western Australia is to asses their past work against the style and requirements you have for your individual project. The role of building designers has evolved from traditional drafting services to building design that takes into account your lifestyle, budget and site condition. 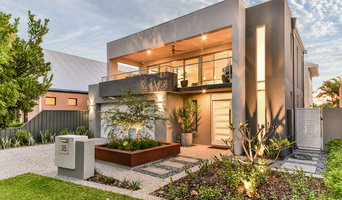 Building designers in Perth, Western Australia also often work with contractors to ensure that structural elements are in line with desired aesthetics. Once you have a shortlist of building designers in Perth, Western Australia, engage in face-to-face talks about your brief, to ensure you’re on the same page. To get the most value for your money, you want someone who understands you, agrees with your ideas – in relation to sustainable design, space and function – and has the qualifications and enthusiasm to translate ideas to paper and into a reality. Look through Photos of house designs to find projects similar to your brief. Then, click through to the professional responsible for your favourite picks, browse their latest projects and read reviews. Once you’ve created a shortlist of Perth, Western Australia building designers, strike up a conversation with each one and you’ll be one step closer to the house of your dreams!